German Foreign Minister Guido Westerwelle on Monday welcomed the election of the liberal Bronislaw Komorowski as Polish president as a "strong pro-European signal". 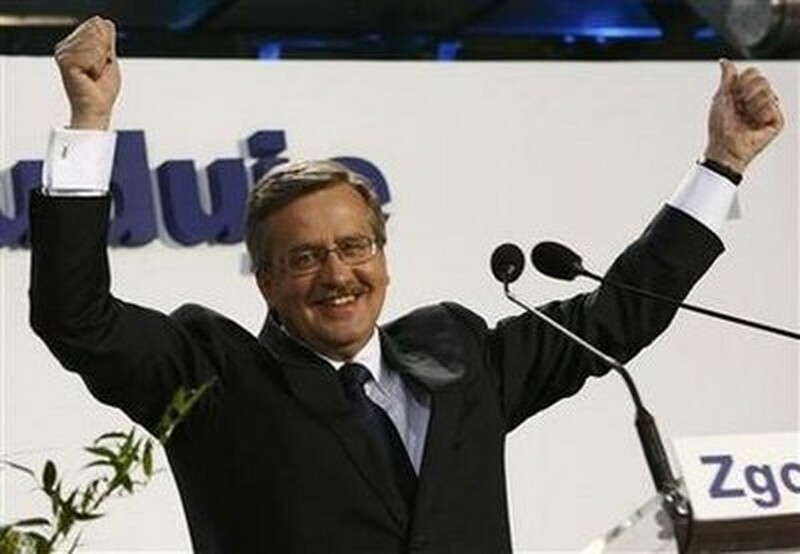 Poland's acting President Bronislaw Komorowski, speaker of the parliament and presidential candidate from Civic Platform Party (PO) waves to supporters at his election headquarters in Warsaw, July 4, 2010. Westerwelle, a fellow liberal who has made improving ties with Germany's eastern neighbour a policy priority, said Komorowski would be a strong partner for closer cooperation. "The sovereign decision of the Polish people for Bronislaw Komorowski is a strong pro-European signal," Westerwelle, who made his first foreign trip after taking office last October to Warsaw, said in Berlin. "It is a goal of German foreign policy to deepen and strengthen relations with Poland, as it has managed to in the past decades with France. "With President Komorowski, we will have a strong partner on this path of trust and cooperation, just as we have with Prime Minister (Donald) Tusk and Foreign Minister (Radoslaw) Sikorski." In Sunday's election, Komorowski beat conservative Jaroslaw Kaczynski, whose twin brother Lech, the previous president, was killed in a plane crash in April. Komorowski, who as speaker of parliament became acting head of state after Lech Kaczynski's death, is a key ally in Tusk's liberal Civic Platform party.